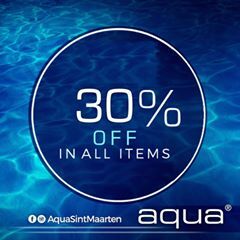 Get 30% off the entire AQUA store! AQUA’s BIG END OF SEASON SALE is here! Get 30% off entire store! Don’t miss this great opportunity to get what you want at a great price! Find them at Maho Village. They are open everyday!